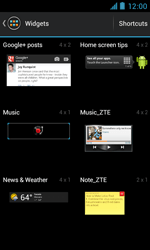 Personalise the Start screen of your ZTE Blade III to always have the most useful apps and widgets close at hand. 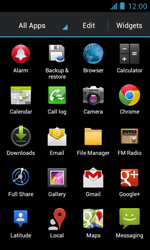 Frequently used apps are grouped on the Start screen. Choose the menu symbol to change the current Start screen. 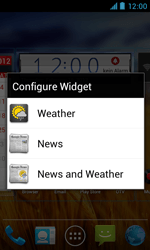 Choose a widget, in this case News & Weather. 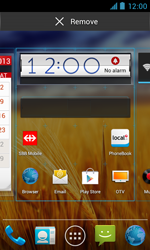 Drag the widget to a different location on the Start screen. Scroll to the next screen if no more space is available. Choose an option, in this case Weather. 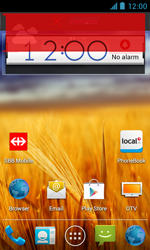 The Weather widget has been placed on the Start screen. To move or remove an item, choose a widget, in this case Weather, and hold it for a few seconds. Drag the widget to a different location, or (in this case) drag it to the trash symbol.